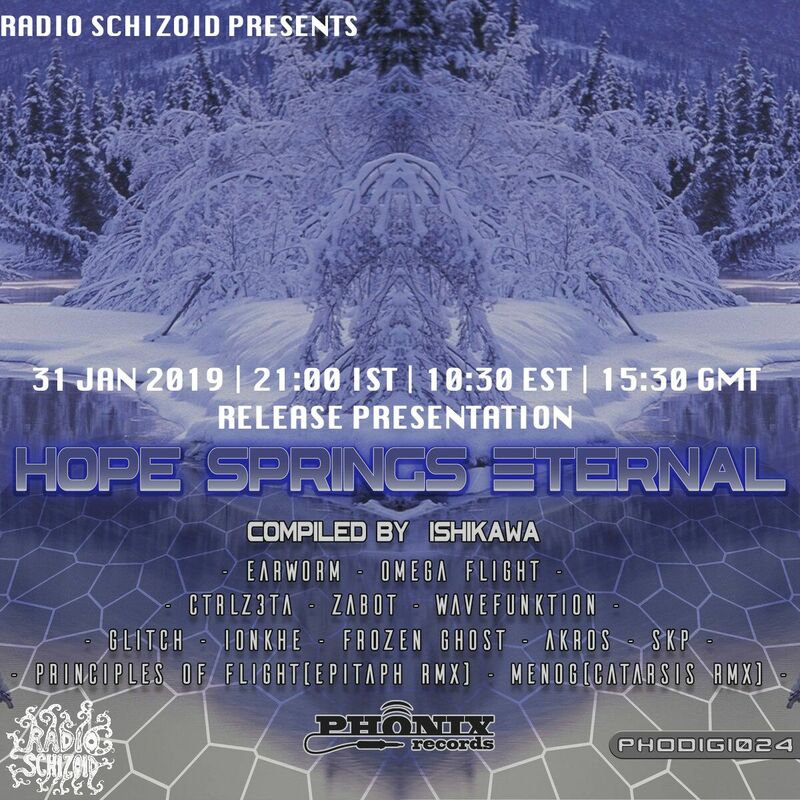 Radio Schizoid is happy to share a free release from our friends at Phonix Records – Hope Springs Eternal compiled by label manager and Radio Schizoid crew member, Ishikawa! This release is a gift from the Phonix Records extended family to friends and fans. Over a year in the making, it celebrates hope for the best, even in the face of adversity and the general spirit of giving. To seal the deal, ANY and ALL sales proceeds from this release will be donated to charity. A big THANK YOU to all the artists for their generosity in volunteering their work and time to help make this release a reality. Special thanks to Derren Nuttall aka Omega Flight for helping put together the fantastic artwork for this release. Get on over, buy this release and get your karma bonus!